The Central Presbyterian Church was built in 1921. The church works with the American Red Cross, Alcoholics Anonymous, CROP walk and Human Needs Pantry. 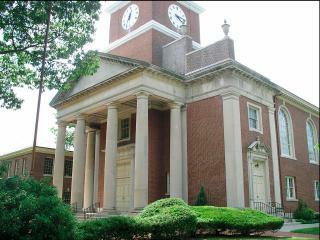 The building is notable for its tall, white steeple and it is the only church in Montclair built in the Georgian Revival mode. It is on the National and State Register of Historic Places.